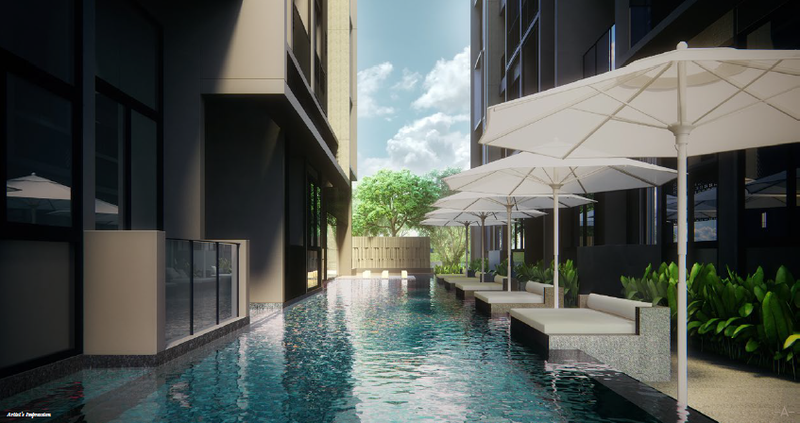 The Asana at Queen’s Road in District 10 Singapore is a luxurious urban sanctuary consisting of 48 exclusive apartments in Singapore’s most distinguished neighbourhood developed by Aurum Land (Private) Limited, winner of Best Boutique Developer (Singapore) 2015. 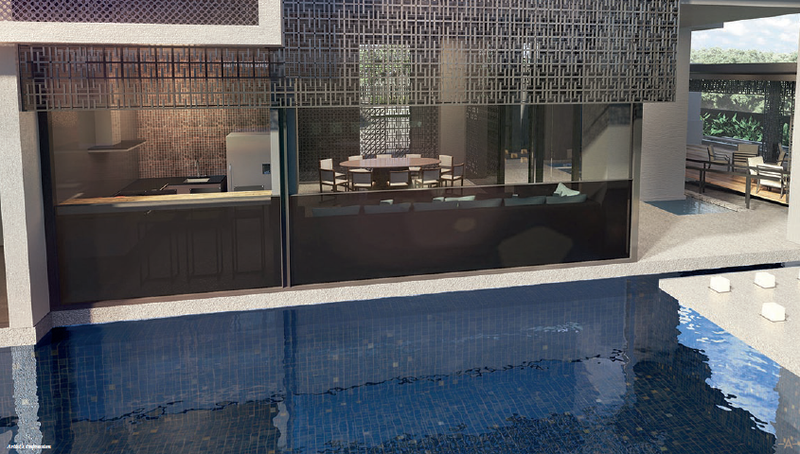 Derived from a desire to provide the perfect balance between life and lifestyle, these one, two and three-bedroom freehold apartments have been carefully crafted to offer residents a sense of tranquillity and an atmosphere of serenity away from the outside world yet offer a contemporary urban sanctuary within Singapore’s most distinguished neighbourhood. a truly comfy home – relax, recharge and rejuvenate in your haven from the outside world. 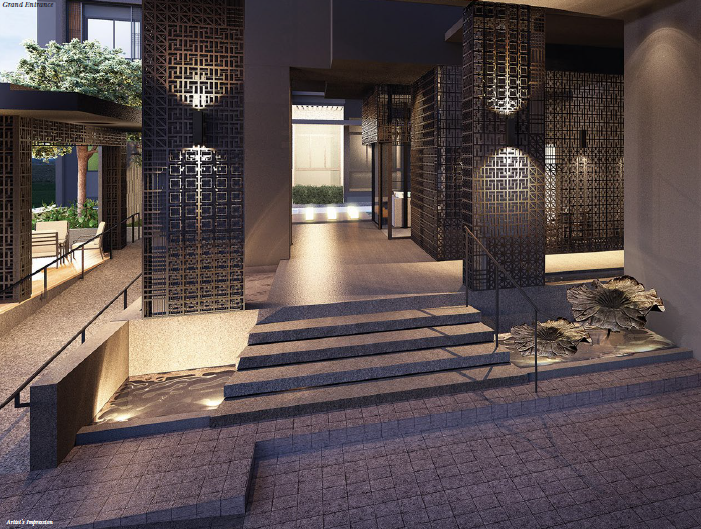 The apartments have been designed to encourage an aura of harmony within a free flowing environment. The black and gold colorways, applied boldly to the exterior and subtly to the interior emulate luxury. 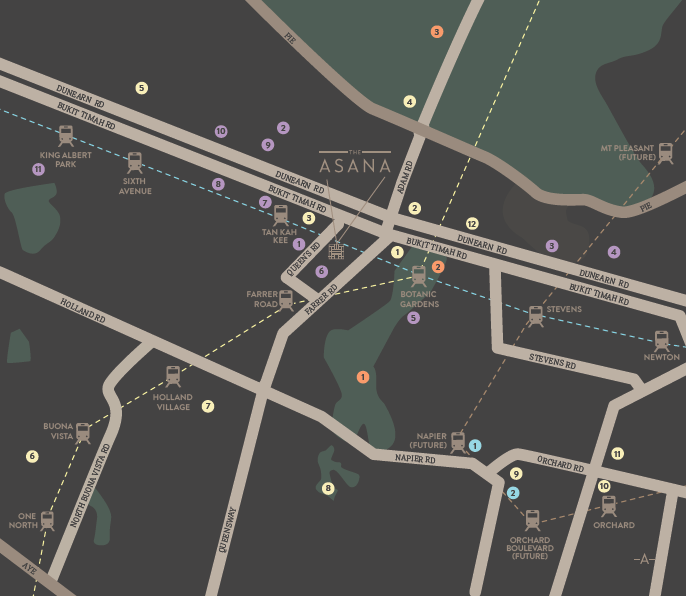 The Asana is truly situated in one of Singapore’s most desirable spots, not only is it surrounded by some of the country’s most sought after schools but Orchard Road and the City are easily accessible too. The Botanic Gardens MRT station is just a short walk away, swiftly connecting you with the rest of the island on the Circle and Downtown Lines. The education in the area is simply second to none, with Nanyang Primary School, Raffles Girls’ Primary School and Singapore Chinese Girls’ School, as well as a host of international schools and junior colleges nearby. of a UNESCO world heritage site. Here you can choose between losing yourself in lush greenery, exploring the Jacob Ballas Children’s Garden or just soaking up the atmosphere of the Symphony Stage. 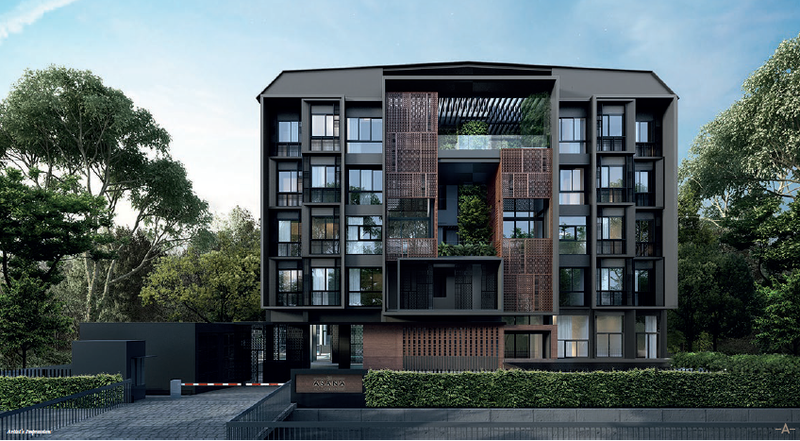 For your family’s everyday convenience, Cluny Court and Holland Village are close by and you can enjoy the gastro delights at Dempsey Hill, Rochester Park and Greenwood Avenue just further afield. You are simply spoilt for choice. For more information on The Asana, simply fill up your details below and our salesperson will get in touch with you shortly!